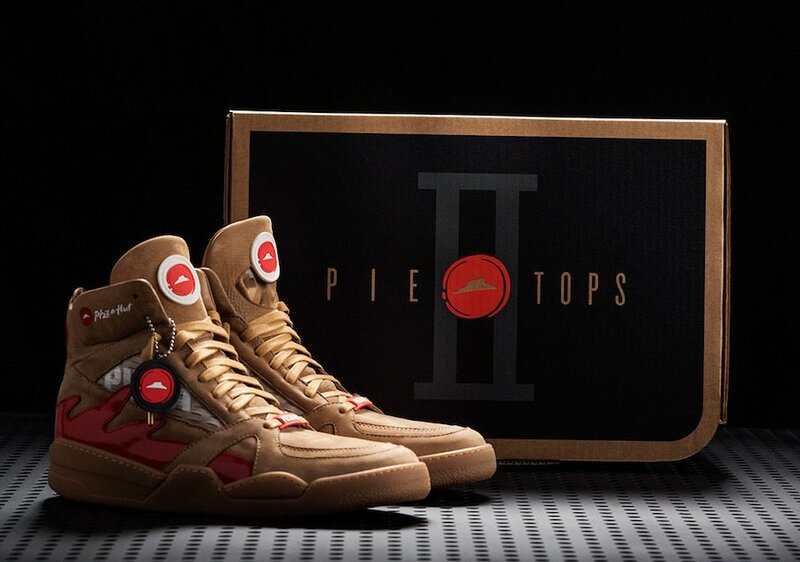 Following 2017’s most delicious NCAA fashion-statement, Pizza Hut is unveiling Pie Tops II – a new generation of the signature Pie Tops sneaker launched last year. 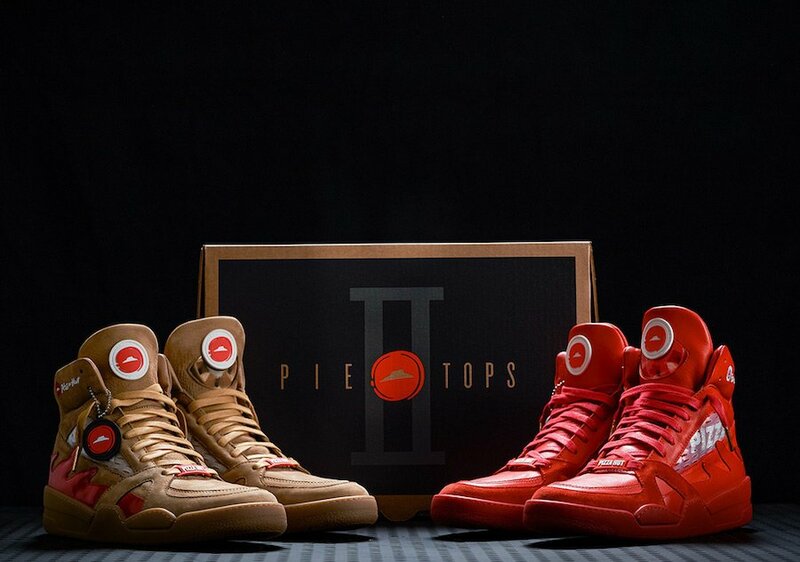 Pie Tops II not only allow wearers to order pizza from the shoe, they now come with a brand new design, colors (Red and Wheat) and tech functionality – the ability to also pause the game. 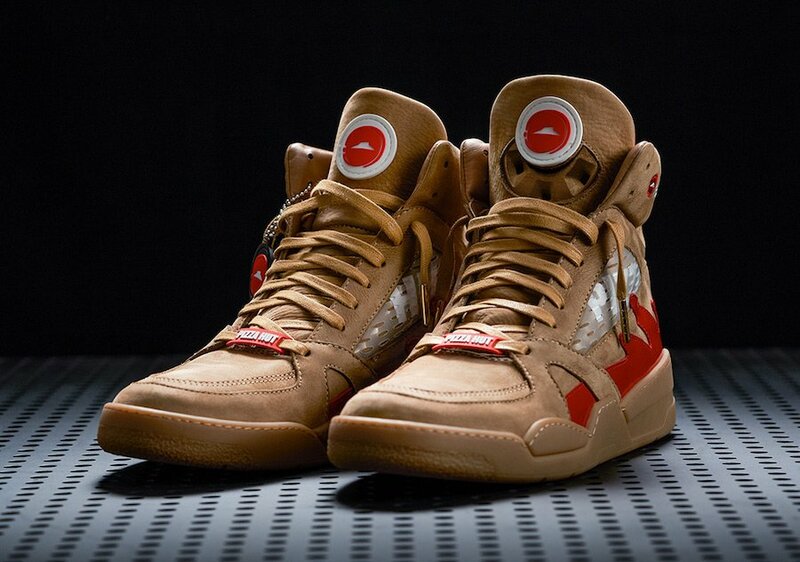 Once again, Pizza Hut partnered with Dominic Chambrone, ‘The Shoe Surgeon,’ to create the fresh new design. 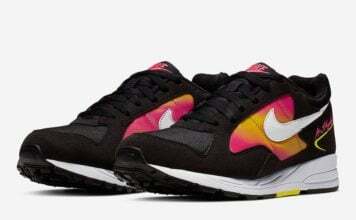 This year, a select number of Pie Tops will be available for the public to purchase on www.HBX.com, the week of March 19. 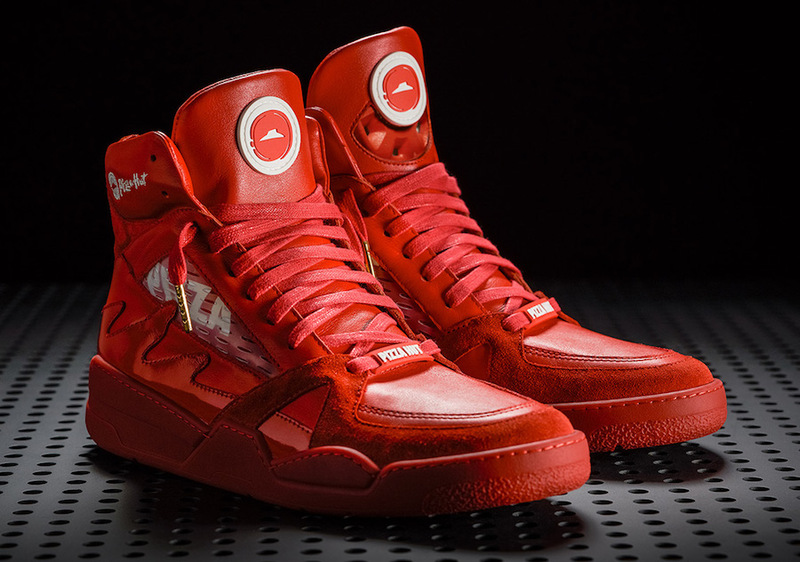 Limited to 50 pairs, to obtain yours you will need to check out @PizzaHut and @HypeBeast at their social media accounts. 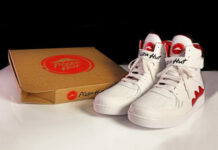 Pizza Hut, the Official Pizza of the NCAA March Madness and the Final Four, is committed to providing an easier, more convenient customer experience with an emphasis on delivery and digital ordering. 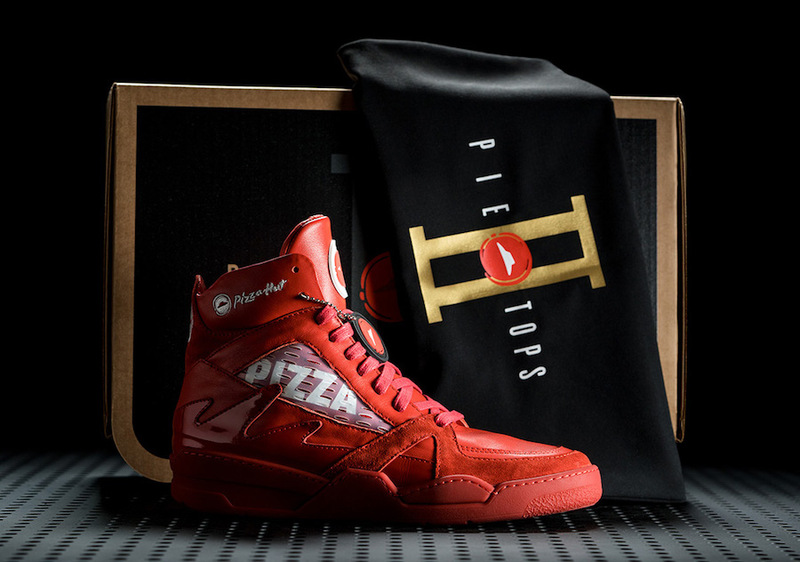 The Pie Tops II were created to showcase Pizza Hut’s focus on giving customers the best delivery experience and highlight Pizza Hut’s special offer for the tournament – two topping medium pizzas for $5.99 each when you order two or more.